The GuildMag Podcast was back this week to talk about the January 26 patch, what they thought about it and what they’re looking forward to. We’ve also got the latest Gem Store and community news so grab a coffee and enjoy! Lunar New Year items have returned! Pick up the Red Lantern Kite (250 gems); Crimson Lion Dye (125 gems); Confetti Mail Carrier (300 gems); and the Black, White, and Bat Wings glider combos are back (700 gems each). Black Lion Chests now have Tybalt rare drop Stronghold Champion skins! GuildMag’s Annual 2015 issue is now available digitally! Check out this fab issue right here on GuildMag.com! We’ve also got a screenshot contest open right now! Enter for a chance to win 800 gems; see the Annual 2015 issue for all the details. The Lunar New Year is in game until February 9. We’re in the Year of the Monkey and Valiant and Aaron have been enjoying the fun of Dragon Ball PvP. Gliding has come to core Tyria and it’s fun! It also takes a little getting used to remembering it’s available outside of HoT! The Shatterer is not-so-new but improved! Do we like these changes? Eldvin Monastery Brew of the Month Club – what is this? Pay 10g and get one thing a month for a year for some achievements, a title, a backpeice and a guild decoration. Is it worth it? New Squad UI has colorful markers! Useful so long as they despawn after death. Party/Raid DPS meters are back in the news with new iterations and new meters being developed by the community. JaxnX’s legal DPS meter has some new developments. We were right when we said DPS meters raiders would want true DPS meters; what impact will this have on the community and the game? The first major balance change pass is in the game; how has this changed the meta? Is any of this surprising? 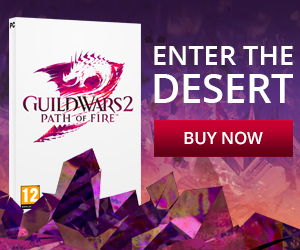 GuildMag is recruiting writers! 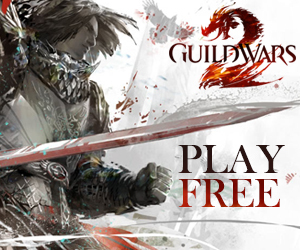 If you have a knack for writing and are interested in focusing that knack on Guild Wars 2, apply here!